Explore our wide range of high strength friction grip bolts, nuts & circular washers. Complying the ISO specifications, our range finds application in different industries. 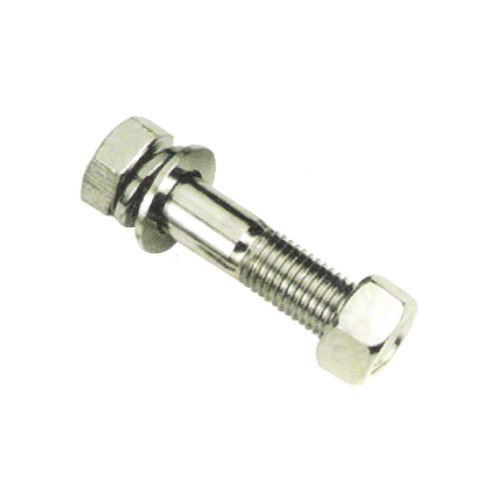 These nuts, bolts and wash ers are characterized by dimensional accuracy, uniform threading and corrosion resistance. We also welcome the customized orders to perfectly meet the clients' requirements. We have emerged as a well reckoned manufacturer and exporter of a variety of high strength bolts, which are in compliance with ISO standards. These bolts are fabricated by us using high grade materials, which are procured by us from the vendors, who hold a prominent position in the markets. Our range of bolts is acknowledged amidst our clients for resistant to corrosion & temperature and high tensile strength. We offer these bolts as per the specifications laid down by our industrial clients. Established in 2007, in Vadodara (Gujarat, India), we “Shree Ram Enterprise” are a renowned manufacturer, distributor and supplier of high quality High Tensile Fasteners, MS Fasteners, SS Fasteners, Foundation Bolts, ASTM Fasteners, Fastening Screws, Hex Bolts, Hexagonal Nuts, Industrial Bolts, Square Head Bolt, etc. The offered products are manufactured using advanced technology and quality tested raw material in compliance with international standards. We have a team of experts who process rich knowledge and experience in the domain. The experts working with us are well-versed with the latest market improvement and accordingly manufacture products to satisfy clients in the best possible manner. Our products are known for their easy to install, dimensional accuracy, light-weight, corrosion resistance and durability. Further, our products are available in several specifications as per the requirements of the clients. We are authorized distributor of Unbrako Fasteners.